Meizu PRO 6 Plus Review - The Most Decorated Phone of 2016! 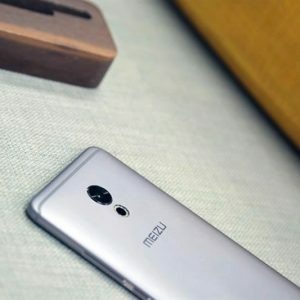 Home>Reviews>Meizu PRO 6 Plus Review – The Most Decorated Phone of 2016! Meizu PRO 6 Plus Review – The Most Decorated Phone of 2016! Smartphones come and go, yet there some chosen one which leaves an everlasting impact on the smartphone market and the whole world. 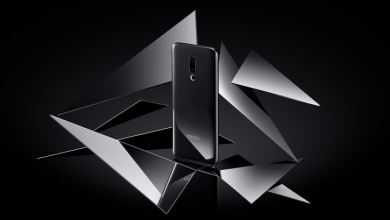 Such is Meizu’s latest hotshot ‘Meizu PRO 6 Plus’ – the most processed and the most decorated phone till date. 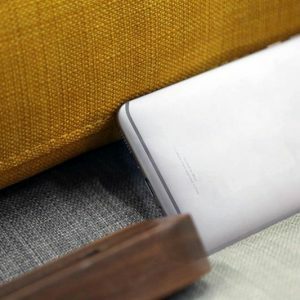 Meizu PRO series from the start highlights top-tier hardware and premium quality. Maybe, that’s why the manufacturer from the Chinese land focuses on countless and time-consuming processes, worth of anticipating and emptying your pockets on (yeah, the price is somewhat high). Plus, it’s the first smartphone apart from Samsung to integrate Samsung Exynos 8890 as the heart of flagship, looks like Samsung is getting generous these days. As the word ‘Plus’ suggest, it’s the big brother or an upsized version of its descendants PRO 6 and PRO 6s. If there’s something extraordinary to speak about Meizu PRO 6 Plus, then it’s the stupendous design, layout, and the appearance. Moreover, it’s the top most selling point of the flagship. To be honest, we haven’t seen a smartphone that much processed and neatly built. We can’t even find some flaws in the design as the finishing touch is perfect. Regarding dimensions (155.6 x 77.3 x 7.3 mm), the phone is neither that much large that it’s difficult to handle nor that much small, it’s an average sized phone with 5.5-inch display and utterly fits in one hand. It weighs 158 grams, a lightweight featuring a metal chassis. The manufacturer states that the flagship undergoes 30 processor and 150 hours of uncompromising attention and no doubt that this statement is true. 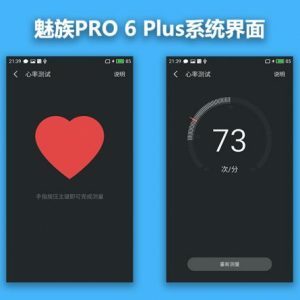 Even with the first look, a person can tell Meizu PRO 6 Plus is highly decorative and the premium feeling while holding it can only be described in these words “Soft as silk, Hard as Diamond.” We played many high graphics games like GTA San Andreas, Asphalt 8 but the phone never dared to get heated even slightly. The credit here goes to the ceramic crystal coating process as well as the vents at the bottom of the phone. Like previously said, Meizu PRO 6 Plus has forged from premium metal alloy, 3D sandblasting unibody design. In other words, it comes with with a new ID style, the pursuit of curves and the beauty of radians, with a pure metal body. The ultra-narrow border and the BM Black Edge is the most striking aspects of the flagship at the front. In addition to these, we witness the traditional mTouch button carrying the blend of a home screen button as well as a fingerprint reader. The inherited black edge enables the screen of PRO 6 Plus to be completely transparent. Even when the screen is turned off, it blackness collaborates with the black bar, and both of them are almost imperceptible to a normal eye. On the top front, we see no change in the arrangement of the earpiece, notification LED, and front shooter. Still, as we mentioned, the finishing is appreciable and covered with 2.5D glass arc. Meanwhile, the rare of Meizu PRO 6 Plus is more appealing than the front. Plus, we can easily distinguish it’s older brother (PRO 6) while peeking at the back. The rear is completely plain, with a manufacturer’s logo slightly top from the mid. 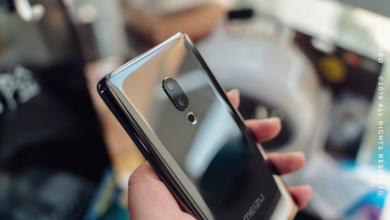 This side of the flagship is known for the CD line camera and ring flash, as Meizu is the only one out there featuring these two layouts. Isn’t it true? 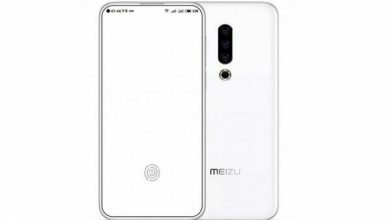 How can we forget the 3D floating arc design, allowing the two parts to link at the rear top and bottom, such are those streaks making Meizu PRO 6 Plus a little tall and straight but feels very round transition. Moreover, the side curved also provide a strong grip. In short, Meizu PRO 6 Plus is finely tuned, balanced from all sides and the final touch is excellent. For the first look, we get to appreciating the craftsmanship. There’s a little bit difference between the standard and the higher edition. Apart from the storage gap, we also witness a small change in the frequency of the processor. 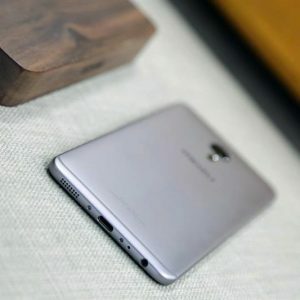 The quad-core Cortex-A53 remains the same, but a customized quad-core is clocked to 2.0GHz and 2.3GHz in the standard and higher version, respectively. Even the GPU, storage, and the RAM is modified to Arm Mali-T880 Mp12 (650 MHz), UFS 2.0 and LPDDR4 in the higher version. When combined with 4GB RAM and 64GB storage (no SD card support), the hardware generates around 110,000 points (112,045). 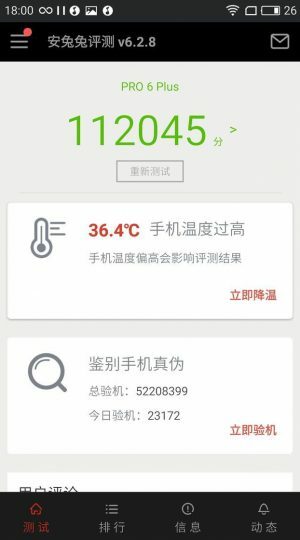 It’s pretty decent for Samsung Exynos 8890 SoC. We searched for the higher version benchmark, and the results were stunning. Unlike the standard version, this variant scored around 125,000 points. The enhanced processor, GPU, RAM, and storage did the job, but this much gap was somewhat staggering. Obviously, more RAM and a better CPU would have yield more points. Even for that price we can buy a Snapdragon 821 powered smartphone with a score around 150,000 but still we won’t have the premium design and feel as of Meizu PRO 6 Plus. Isn’t it true? The fact is that we have a moderate performance but as the well as the most decorated design. No doubt, 2K displays are trending nowadays. With the rise of the Virtual Reality, the demand better and better display is increasing day by day. 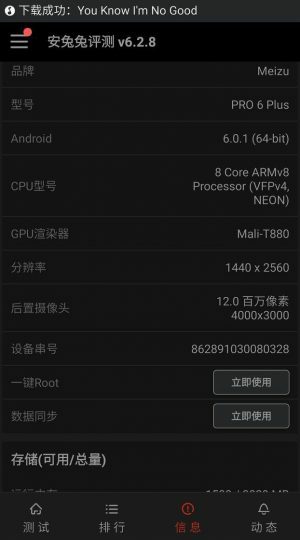 So, why shouldn’t Meizu PRO 6 Plus have a 2K display? The flagship integrates a large 5.7-inch, Super AMOLED, 2K screen with the maximum pixel density of 515 ppi. 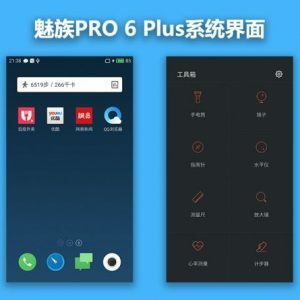 Meanwhile, its siblings like PRO 6 and PRO 6s features only Full-HD display. The screen is reasonably bright and high contrasted, unlike the previous flagships. The credit goes to the 10000:1 contrast ratio, 103% NTSC color spectrum and 430 cd/m². Plus, it supports 3D Touch aka Force Touch to add some more value to the flagship. Under sunlight, there a slight dimness in the display but still the display is vivid. People say that a 2K display consumes more power than the Full-HD display, decreasing the battery life. But that’s not true. We did the durability test and played 3D games for half an hour, watched online videos for half an hour, and run social apps half an hour. The results were 8%, 4%, 3% decrease in the battery. In day time PRO 6 Plus has excellent stability. Detailed shadows and highlighted background are witnessed. In low light, the image noise and shutter speed control were also appreciatable. The only bad side of the camera as it doesn’t feature slow motion. The front camera is of 5MP and isn’t that much interesting. In short, everything isn’t perfect, but the rear camera seems to be the best option if you want to shoot some stunning photos. Meizu is much experienced in providing some good sound to the world rather than the smartphones. A year ago, manufacturers were highly engaged in providing the best sound, probably HiFi speakers. Now only Vivo and Meizu are left. In PRO 6 Plus, we witness the same beat with the optimized ES9018K2M and Solo circuit amplification. The overall idea is providing people with the balanced life and quality sound. Still, there weren’t more sound features like the absence of apps which open Hi-Fi circuit, sound field equalizer and other modes of switching. Even the sound felt a little bit scattered, and sound field positioning was not clear. These were the same problems found in PRO 5 and now continues in PRO 6 and Plus. Still, the detailed sound is what we appreciated, and this became Meizu’s style. Meanwhile, the phone is packed with tons of features. Some of them have been described early such as the 3D Touch. 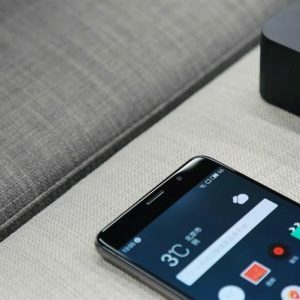 The rest of them includes NFC support and sensors such as Fingerprint, Heart rate, Compass, Accelerometer, Gyroscope, Light sensor, and Proximity. The connectivity aspects include Dual SIM, 4G LTE, and VoLTE support. Plus, we have the advanced USB v3.1, Type-C 1.0 reversible connector. Meizu PRO 6 Plus is one of the first smartphones to feature the all new Flyme 6.0 UI, based on Android 7.0. We don’t need an introduction as almost our readers know what Flyme is capable of. It’s one of the best dedicated and user-friendly Operating system on the planet. 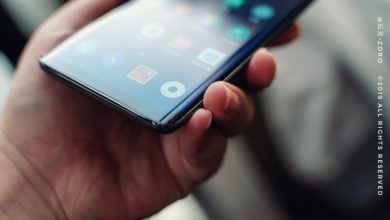 The manufacturer claims that the new UI increases the efficiency of the hardware to 10% and this seems to be the truth as the OS is way faster and stable than the previous one. The terminal uses the new can provide 900 times the charge and discharge cycles, is two times the standard battery, and the use of newly designed data lines, providing temperature and short-circuit active protection. 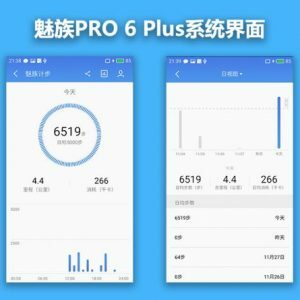 Meizu PRO 6 Plus support mCharge fast charger, mobile phone charger is standard PRO 6 and PRO 6s charger to provide 5V3A, 8V3A, and 12V2A charging specifications, the maximum charging power 24w. The amperes seems to be inadequate, but they aren’t. Thanks to the OS, Flyme 6 utilizes the battery in the best way possible. Plus, there’s also the battery saving mode. It 10 hours and 31 minutes from 100% to 20% with 100% screen brightness. Plus, we have the mCharge or the fast charge option available which tops up the battery in no time. Attention: The internal data of table “171” is corrupted! If you are looking for the most premium phone in the market with a budget-friendly price, consider Meizu PRO 6 Plus as your priority. The flagship is the perfect all-rounder with promising hardware, excellent camera, and the most decorated built. Even though we can get a Snapdragon 821 for that much price tag but not a design and tons of features like PRO 6 Plus. 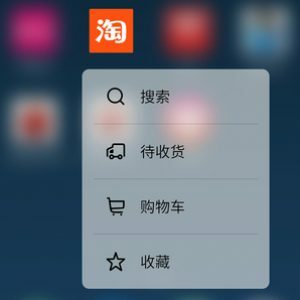 Xiaomi Mi Mix will on sale this Monday for 3499 yuan ($507)! with my latest site and I wou?d like to find something more saf?guarded. Do y?ou have anny soluti?ns? a 7-inch tablet up to your ear speaking. sharing data, t? ?t’s genuinely good, keep ?p w?iting.